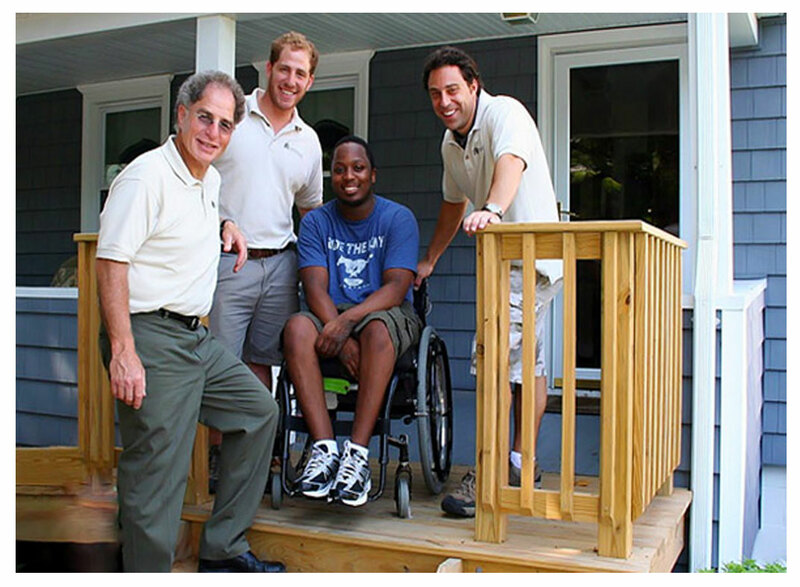 Construction Solutions Group (CSG) is proud to be a good corporate citizen of the greater Stamford, CT area. As a construction firm, there are many ways we tangibly improve our community. We are also experts on a wide range of human-scale construction issues from green building to aging in place. Contact us if you’d like CSG to present to your group; and learn more about us and the exciting things we’re doing below. CSG participated in a bathroom and bedroom renovation for a 19-year-old Norwalk man. The former Stamford High School football player became a paraplegic after suffering from a serious unknown infection. Sylvan Pomerantz read about his plight in the local newspaper and reached out to the young man offering help. Working with other community resource agencies, CSG provided the design and construction of a new ADA bathroom and modified his bedroom to provide ease of access and space to maneuver. CSG paid for all labor and materials associated with the design and construction to implement these handicap accessible modifications. Why Choose Construction Solutions Group?